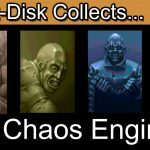 Insert Disk collects Diggers for the Commodore Amiga CD32. 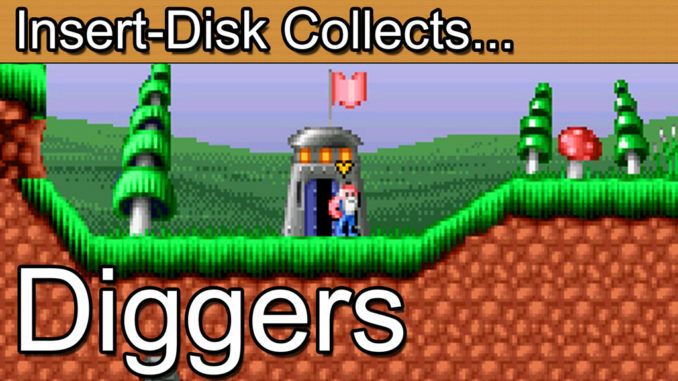 Today’s retro game review is Diggers for the Commodore Amiga CD32. 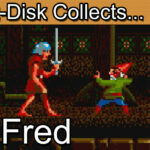 This retro gaming classic was known to most Amiga CD32 gamers as a bungled game with the system. The aim is to manage your group of diggers in the hopes of mining your ways to riches such as gems and gold in the mines. Diggers is a tricky game at times and will require patience. For any fan of Minecraft or Terraria this one is well worth a look to see how we played mining games retro style. Greetings collectors and welcome to today’s retro game review. Ever wanted to be in charge of your own alien mining operation seeking out various rubies and other gems whilst competing with rival gangs. If so then 1992’s Diggers for the Amiga CD32 may just be the game for you. Diggers is a game that has an interesting fan following. Most retro gamers probably won’t know about this title whilst practically every Amiga CD32 owner will have played it at some point. Diggers was initially bundled with the Amiga CD32 console but saw very few versions other than to DOS PC, Amiga 1200 and the Acorn Archimedes. Strangely for myself as an avid Amiga player back in the 90’s the first time I saw Diggers was on my friends Acorn Archimedes and remember us working through the campaign. It was only some time later when I saved up for my Amiga CD32 that I got hold of my own copy. It’s worth saying off the bat that to run Diggers you will need the Amiga 1200 and the AGA graphics mode. It means that you’ll get the best out of the graphics, although I dare say that the standard Amiga 500 series probably could have handles this one. The game sees you select from one of four races. The Habbish, Grablins, Quarriors and the F’Targs. Each race has its own stats in regards to digging speed, stamina and health. So choose wisely, are you the type of miners that looks to quickly excavate huge mines or are you the type of miner that decides to go and beat up on your rivals? At the start of the game you’ll pick a starting zone and be set a financial target to hit to win control of the area. You’ll achieve this by mining your way in to the ground below and occasionally unearthing precious gems. Beware though as there are dangers in the deep, souls of lost miners await you as well as various traps such as water (that’s right your miners can’t swim so best avoid this). If you happen to be playing as one of the weaker races you’ll also need to keep your rivals at bay and travel in pairs where possible to avoid being wiped out. Overall the premise of Diggers is really appealing. When you think of how popular mining games such as Minecraft and Terraria became I think most gamers will quickly understand the excitement of Diggers. You will control each digger individually. Select a miner and then right click to open their actions menu. Generally you’ll either give then a direction to dig or walk. You can also teleport them back to base or tell them to pick up dropped items. Once you’ve got the gems you need it’s off to the exchange to trade your hard earned rocks for real cash. It’s at this point that Diggers becomes a game with a little more depth than you may expect. At the gem exchange you’ll be trading your gems for cash. The trade prices will vary by gem and each competing race will offer you different prices. But why exchange these gems anyway? The simple answer is that you can then pay a visit next door to the factory. Here’s where that added level of game depth comes in. Up until now the diggers have been using simple shovels to do the hard work. The factory allows you to purchase a whole variety of tools to assist your operation such as tunnelling machines, TNT and cork screws. All of which will greatly increase the speed of which you can excavate and in turn hopefully lead to the discovery of more gems. As you might expect this is where the strategy of the game opens up some new variations of game play. If you chose a race that can mine quickly with their own tools then there’s not much of a payoff in upgrading to a single tunnelling device. If you are one of the slow but strong races though a boost in mining power really helps round out your teams capabilities. In addition to the excavation tools you can also purchase more general pieces of equipment such as floodgates, telepoles, first aid kits, inflatable boats, lifts, train tracks and carts. All of which will assist you in getting to those more challenging gems spots. So, it’s really up to you to spend carefully. The game is challenging enough to warrant many of these purchases in the later stages. They aren’t there just as an afterthought to pad out the game play. A shrewd investment can be the difference between winning and losing a campaign. In theory Diggers is a really solid concept, manage, dig, discover, profit. A very solid tried and tested game loop. Since you won’t always know where the gems are there’s also the perfect balance of exploration thrown in for good measure. Before I tell you the downside let me just say that I do still really enjoy this game, it is fun but a game that will require some mastery. There are quite a few game features that you will have to accommodate though. Firstly is the miners boredom levels, depending on the race you selected the miner won’t want to be left standing around. They will wander off, start digging and occasionally get themselves in to trouble. Had there of been 3 miners this would have been easier, with 5 characters looking to be autonomous though there are times where you will struggle to keep everyone in check. There’s nothing worse than having to micromanage a digger at an exciting point of a promising vain of gems only to realise that the rest of the team have committed suicide in a lake. The micromanaging in itself may also raise an issue for some. An example of this is that one of you diggers may be happily channelling through the ground and unearth some nice gems. Now you would expect that he might automatically pick these up but no. You will have to specifically stop you worker, turn him around and use the pickup action from the menu. Alternatively you can instruct a second digger to follow and pick up the gems to allow the first to keep digging. This may not sound like a big issue but it does seem to break the flow of the game. If you have 3 of the 5 mining, good luck with all of the button clicks in order to coordinate everything. This is why I mentioned that a level of mastery is needed to really get the best from the game. On a first sitting Diggers could come off as slightly overbearing and unmanageable. Only once you get in to the groove of hopping from digger to digger, planning routes ahead and really micromanaging everything will you get the best from the game play. What appears quite sedate and relaxing onscreen doesn’t reflect the frantic nature of the management elements. Of course these issues aside there is a lot of fun to be had in Diggers. The characters, game play and general feel of the game are very solid. There are several editions of Diggers, my Amiga CD32 bundle edition is by far the most common. 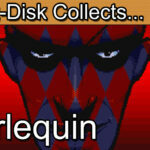 On the disk you’ll also receive Oscar, the now long forgotten 2D platformer. As a bundled game the artwork is very limited and not exactly a display piece. The standalone releases for the Amiga 1200 and Amiga CD32 are much more appealing. For the bundled edition look to pay up to £10 here in the UK. You can get a similar edition in North America for under $15. For the stand alone editions you’re looking closer to the £40 mark or $50. Amiga CD32 games have seen somewhat of a revival in recent years though so there is always a chance that the prices may slowly creep up over time. Whether I can give Diggers a recommendation is a bit of a dilemma. On the one had I really enjoy the game play despite its numerous quirks. If you’re new to the game I can’t help but feel the initial learning curve may put the more casual gamer off though. Diggers is all about micro-management and that comes at a cost. If you are someone that doesn’t have the require patience then I would definitely steer you away from this one. If you have some time to figure out the game play and sink in to this one then Diggers can be very rewarding. For a 1992 release you can certainly see elements that have re-emerged in more recent mining games. The game itself is reasonably priced and easy to get hold of but unless you have the Amiga CD32 console that leaves you with few options. The Amiga 1200 edition remains rather pricey as does the DOS PC edition. Outside of this you’ll have to pick up the Acorn edition but again this is a bit of a niche collecting area if you’re determined to own the physical copy. Diggers is a game with a lot of potential and a game I come back to time and time again. If you can find a copy it’s still well worth a play. The nuances of knowing on which kit to invest in, where to dig, when to trade and how to best manage your team all add up to an experience unlike any other mining game I’ve played. Elements of luck, good preparation and a reasonably steep learning curve create a game that is very much for the discerning retro gamer with time on their hands. A 30 minute game play session won’t really do this one justice in what it fully has to offer. It’s a game that appears very simple but you’ll have to take it upon yourself to mine deeper to get the best experience from it.